By 1998, bassist and composer Eivind Opsvik was a familiar face on Oslo’s vibrant jazz scene. He had been playing in the city’s clubs since the early nineties. Just like many young musicians, this was akin to a musical apprenticeship. Then in 1993, twenty year old Eivind Opsvik decided to complete his musical education, and enrolled at the prestigious Norwegian Academy Of Music. For the next four years, Eivind Opsvik studied classical bass and in 1997, graduated with a degree in music. It was a proud day for his family and friends. A year later, in 1998, Eivind Opsvik was leaving Oslo behind, and heading overseas to New York. That has been home to Eivind Opsvik ever since. Nowadays, he’s a successful composer, musician, mixer and producer. Eivind Opsvik also runs his own record label Loyal Label, and formed his own band Overseas in 2002. They accompanied Eivind Opsvik on his 2003 debut album Overseas. This was the first in a series of critically acclaimed instrumental albums that Eivind Opsvik released. The latest instalment in the series is Overseas V, which was released on the Loyal Label on the ‘17th’ of March 2017. Overseas V is the latest chapter in the Eivind Opsvik story. It began back in 1973, when Eivind Opsvik was born in Oslo, Norway. Growing up, music played an important part in the Opsvik household. Eivind Opsvik’s father, Peter, a famous furniture designer who created innovative and ergonomic chairs that became design classics, loved music. He introduced Eivind to a wide range of music. Soon, he was enjoying everything from The Beatles and Billie Holliday to Ornette Coleman. Peter Opsvik also enjoyed playing saxophone, and one night, encouraged young Eivind to jam along on the drums as he played A Hard Day’s Night. That night, it seemed, Eivind Opsvik was bitten by the music bug. Fortunately, as Eivind Opsvik entered his teens, his elder cousin lent him a bass guitar. He started to learn how play the bass, and the next step on Eivind’s musical journey began. Over the weeks, months and years, he devoted much of his free time and energy into mastering the bass and then the double bass. The rest of the time, Eivind Opsvik was immersing himself in music. He spent time listening to an eclectic selection of music. This was all part of his musical education. So was making music with his new four-track recorder. It allowed Eivind to experiment musically, and would prove to be good practise for the future. Already it seemed Eivind Opsvik was about to embark upon a career as a musician. Especially as he made his tentative steps onto the Oslo jazz scene in the early nineties. Like many young Norwegian musicians, this was where Eivind served his musical apprenticeship. Soon, he was playing alongside Paal Nilssen-Love, Christian Wallumrød, Bjørnar Andresen, and Håkon Kornstad. Before long, Eivind was playing at festivals and clubs across Europe. He was, by then, one of the rising stars of Norwegian music. Despite that, Eivind Opsvik decided to complete his musical education. So in 1993, Eivind Opsvik enrolled on a degree course at the prestigious Norwegian Academy Of Music, in Oslo. Over the next four years, Eivind studied classical bass. In 1997, Eivind Opsvik graduated with a degree in music. This was a proud day for all his family and friends. However, a year later, in 1998, Eivind Opsvik had made the decision to leave Oslo behind, and head overseas to New York. The move to New York was a new start for Eivind Opsvik. It took him out of his comfort zone. Back home in Oslo, he was well known within city’s the thriving music scene. He regularly played alongside high profile musicians; had played all over Europe and featured on a couple of albums. Now he was starting his career all over. Within a couple of years, Eivind Opsvik’s career was once again thriving. Eivind had featured on two albums that were released during 1999. He had joined Quintet, a Norwegian improv group, when they recorded their live album March ‘28th’ 1999 at the Vossajazz Festival, in Norway. It was released later in 1999. So was Sadigursky, Sacks, Opsvik, Peretz album Spiral. This was the first album that Eivind Opsvik recorded in New York. It certainly wouldn’t be the last. As the new millennia dawned, Eivind Opsvik took to the stage at some of the Big Apple’s most famous venues. It was a dream come true playing at the Carnegie Hall, Village Vanguard, Le Poisson Rouge and The Stone. Eivind was aware of the musical legends that had previously played at each venue. Now he was following in their footsteps. Meanwhile, Eivind Opsvik had decided to further his musical education, and enrolled at the Manhattan School Of Music, where he studied jazz. That was where he first met some of his future bandmates. This included Loren Stillman and Jeff Davis. They shared the same musical philosophy as Eivind Opsvik, who for some time, had been contemplating forming his own band. He could only do this, if each of the musicians shared Eivind’s vision. Fortunately, Loren Stillman and Jeff Davis did and they joined him in his new band Overseas, which was formed in early 2002. Gradually, Overseas’ lineup started to take shape. Two of the earliest recruits were Loren Stillman and Jeff Davis. Soon, they were joined by Craig Taborn, Wells Hanley, Gerald Cleaver, Dan Weiss and Jason Rigby. Some of the musicians were old friends, while others Eivind Opsvik had encountered as he played in New York’s clubs. Each of these musicians shared Eivind Opsvik’s musical vision and philosophy for Overseas. Before long, Overseas began playing on New York’s live circuit. Given the band featured experienced and talented musicians, they soon, had honed and tightened their sound. It was a mixture of instrumental art rock and progressive jazz. Soon, the nascent Overseas were ready to make their recording debut. Overseas weren’t recording their debut album. Instead, Eivind Opsvik was about to record his debut album. The resulting album became Overseas, which was the first in a series of genre-melting instrumental albums. When Eivind Opsvik released his debut album Overseas in 2003, it was to plaudits and praise. This was the perfect start to Eivind’s nascent solo career. However, this was the only time this particular line of Overseas would record together. Over the next few years, Overseas lineup would change. That would be the case throughout the band’s lifetime. Sometimes, jazz or improv musicians were brought onboard to augment Overseas. Other times, classical, electronic and noise musicians were recruited to Overseas’ ranks. They would add a new dimension to Overseas’ sound as they sought to reinvent their music. Overseas’ lineup changed from album to album. Three years passed before Overseas returned with their sophomore album, Overseas II. While there had been several changes in Overseas’ lineup, what didn’t change was the quality of music. Overseas II was an ambitious genre-melting album that encompassed everything from art rock and avant-garde jazz to jazz-rock and progressive jazz. Critics were won over by Overseas II. However, this wasn’t the only album Eivind Opsvik released during 2005. When Eivind Opsvik wasn’t working with Overseas, he formed an experimental pop duo Aaron Jennings. Having written some songs together, Opsvik and Jennings went into the studio and recorded an album together. That album became Fløyel Files, which was released to critical acclaim in 2007. It was a similar case with Opsvik and Jennings’ sophomore album Commuter Anthems, which was hailed as their pair’s finest hour. Despite that, the next album Eivind Opsvik released would his third solo album Overseas III. This was just the latest album Eivind Opsvik had worked on. He had been kept busy over the last three years. Eivind had been involved in a couple of high profile collaborations and had recorded albums with the Marvin Charles Trio, the Jostein Gulbrandsen Quartet and Jon Irabagon’s Outright! Still Eivind continued to play live with Overseas, and when it came to recording Overseas III, they joined him in the studio. They pulled out all the stops, on Overseas. It was hailed as another inventive and innovative album from Eivind Opsvik. Somehow, each solo album seemed to surpass the previous one. It was a similar case with the Opsvik and Jennings’ albums. After a two year absence, the pair returned with their third album, A Dream I Used to Remember. Just like previous albums, praise and plaudits accompanied the latest offering from experimental pop duo. Sadly, A Dream I Used to Remember proved to be the last album from Opsvik and Jennings. While this was a disappointment for the duo, it allowed Eivind Opsvik to concentrate on other projects. Over the next four years, Eivind Opsvik worked on a variety of projects. He continued to play live Overseas and recorded an album with the Nate Wooley Quintet. Eivind Opsvik also recorded with albums with Jeff Davis, Jesse Harris, David Binneu, Harris Eisenstadt, John Escreet and Jesse Stacken. Fourteen years after leaving Oslo, was Eivind Opsvik had forged a successful career as a sideman and bandleader. In April 2012, Eivind Opsvik returned with a new solo album Overseas IV. This was his first album in four years. Overseas IV was released to widespread critical acclaim, and hailed Eivind Opsvik’s most ambitious and finest solo album. It wasn’t going to be easy to surpass Overseas IV. Four years passed before Eivind Opsvik returned to Sear Sound, Studio A, in New York City on June ‘20th’ 2016. He had written nine new instrumentals, which would be recorded by the latest lineup of Overseas. This included drummer and percussionist Kenny Wollesen who programmed the Oberheim drum machine and added hand claps, He was joined by guitarist Brandon Seabrook; tenor saxophonist Tony Malaby and keyboardist Jacob Sacks Eivind Opsvik switched between double bass, bass synths, Oberheim drum machine and hand claps. These five experienced musicians recorded the nine tracks that would eventually become Overseas V.
Nine months later, and Eivind Opsvik released what was the most eagerly awaited album of his fourteen year solo career, Overseas V. It marks the welcome return o true musical innovator, Eivind Opsvik. I’m Up This Step opens Overseas V, and straight away, there’s an urgency and energy as layers of genre-melting music are unleashed. This includes a chirping guitar, scrabbled bass, galloping drums and stabs of grizzled saxophone. It soars above the jagged soundscape, and is joined by a jangling piano and waves of melodic feedback. Later, the saxophone becomes gnarled, as it rasps and brays. It’s joined by flourishes of piano while hand-claps signal their approval. Right up until the closing bars there’s an element of drama as Eivind Opsvik and Overseas fuse art rock and avant-garde with free jazz and improv. The result is a soundscape that veers between ambitious, edgy, inventive and melodic to challenging. Drums are to the fore on Hold Everything, as drummer Kenny Wollesen works his way round the kit, providing a thunderous backdrop. Meanwhile, hi-hats hiss as synths beep, buzz and squeak. Soon, a bubbling bass is jounced by an electric piano and guitar. Effects are used heavily on the piano and searing guitar. It cuts through the melodic soundscape, as a rasping saxophone joins the frae. It adds degree of soulfulness, on as funk meets avant-garde jazz on this hook-laden and inventive soundscape. As a saxophone drones, drums pitter patter and are joined by a drum machine. It’s joined by a ruminative piano while the drum machine taps out a code. Still, the saxophone drones as drums pound and the soundscape takes on a melodic and cinematic sound. Stabs of piano add an degree of drama, while strings are added. Just like the piano, thet add to the cinematic sound, before becoming scratchy. However, when they drop out the piano takes centre-stage as industrial sounds are added. They add to what’s a thoughtful, poignant and beautiful cinematic soundscape. Straight away, musical genres melt into one on Brraps! Soon, elements of art rock, free jazz, funk, fusion and progressive jazz will make an appearance. Before that, a funky guitar joins the drums, piano and scratchy strings. They’re soon joined by a braying saxophone as stabs of piano punctuate the soundscape. Playing the starring role is the funky guitar. Then when a a drone soars above the soundscape, this signals the entrance of a blistering, blazing saxophone. Soon, it gives way to galloping bass, as the piano plays thoughtfully. After that, a short saxophone solo is unleashed, before the baton passes to the funky guitar. It’s akin to a genre-melting game of musical pass the parcel, where everyone is a winner. Just a lone hesitant piano opens Cozy Little Nightmare. That’s until the bass, hand-claps and drums are added. Eerie found sounds, effects and brief bursts of a buzzing bass synth are added. Meanwhile, the piano, drums and bass pour all their energies into creating a dark, unsettling cinematic soundscape. Urgent describes First Challenge On The Road as it bursts into life. The drums and saxophone lock into a groove, before they’re joined by the bass and hypnotic stabs of piano. They unite and create a mesmeric backdrop that cuts through the soundscape. Before long, the rhythm section and guitar are playing with a fluidity and freedom. Meanwhile sharp stabs of piano and saxophone provide a contrast. Later, Eivind Opsvik and Overseas play with a newfound freedom. It’s not just the rhythm section and searing guitar that power the soundscape along. So do the blazing saxophone and stabs of piano. By then, the ever versatile Eivind Opsvik and Overseas are in full flight and showing another side to their music, on what’s one of the highlight of Overseas V.
The tempo drops on Shoppers And Pickpockets, as a sultry saxophone joins a standup bass and drums. They create a melodic backdrop. Meanwhile occasional bursts of synth send out a warning, as the guitar rings out. By then, the music is thoughtful and cinematic. Especially as a saxophone soars high above the soundscape, and a piano adds drama and darkness. It’s as if the shoppers are keen to evade the pickpockets. They play a game of cat and mouse, which the piano and saxophone replicate. Later, as a prowling bass joins, it’s as if the pickpockets are about to pounce on their unsuspecting prey, on what’s the most cinematic track on Overseas V.
The saxophone and drums power the arrangement to IZO along. Soon, they’re being joined by a scorching electric guitar as art rock, fusion, free jazz and progressive jazz melt into one. By then, the playing is fluid and inventive. A jangling, fleet-fingered piano solo gives way a braying saxophone as a scrabbled blistering guitar threatens to cut loose. Still, Kenny powers his way around his kit and is matched every step of the way by Eivind. He and his band feed off each as they improvise. Still they play with freedom and fluidity on this innovative and genre-melting musical adventure. Closing Overseas V is Katmania Duskmann. A growling saxophone joins stabs of piano and galloping drums as they add an element of darkness and drama. Soon, a probing piano adds to the darkness and with machine gun guitar riffs, add to the drama. It builds before a howling saxophone heads in the direction of free jazz. It’s joined by a blistering, effects laden guitar solo and beeps and squeaks. Still, the tempo rises and the drama builds for just over three minutes. Then Katmania Duskmann reaches a dramatic crescendo. Eivind Opsvik has kept one of the best until last. 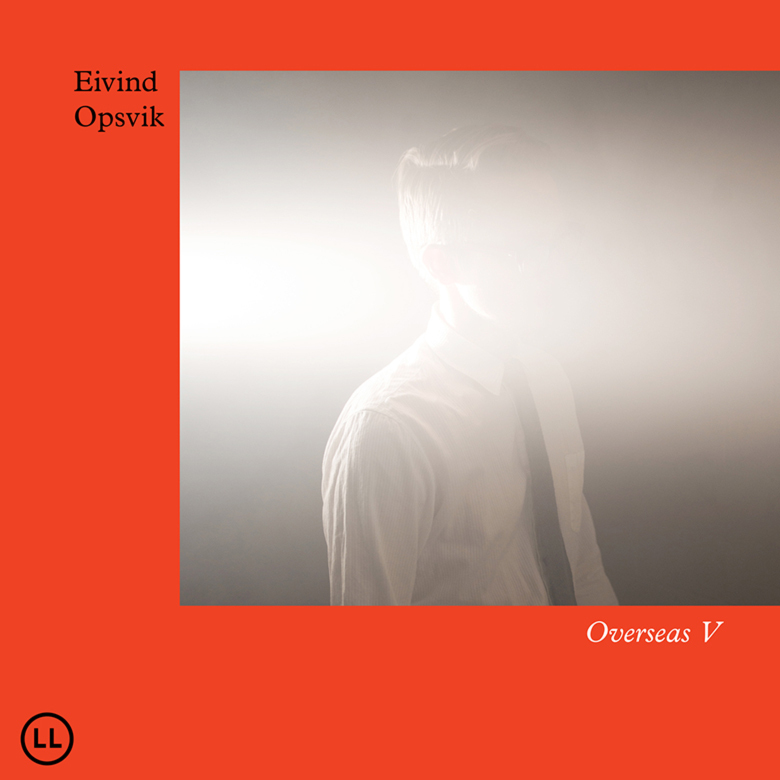 Nearly five years ago, Eivind Opsvik released Overseas IV, which critics and cultural commentators hailed as his finest album. It was an album that set the bar high for future releases. Surpassing the quality of Overseas V wasn’t going to be easy. For Eivind Opsvik this was a challenge. The forty-three year old Oslo born musician returned with Overseas V on the ‘17th’ of March 2017. It was released on Eivind Opsvik’s own Loyal Label, and is a career-defining album. Overseas V surpasses everything that has gone before. It’s the album that Eivind Opsvik has been working towards. Overseas V is an album of ambitious, inventive, innovative and genre-melting music from Eivind Opsvik. Accompanied by his band Overseas, he combines everything from art rock and avant-garde to electronica and experiment to free jazz funk and fusion to improv and industrial music. Sometimes, Overseas V heads in the direction of post punk and progressive jazz as Eivind Opsvik switches between and combines musical genres during what’s captivating musical journey. During that journey, Eivind Opsvik draws inspiration from far and wide. This includes the legendary Norwegian guitarist Terje Rypdal whose music ranged from avant-garde to fusion. Both genres can be heard on Overseas V. So can the influence of Brian Eno’s early avant-rock albums, and the post punk of Joy Division, New Order and Talking Heads. All these musicians and bands have influenced Eivind Opsvik on Overseas V.
While Overseas V is a solo album, Eivind Opsvik was fortunate to be accompanied by some of most captivating improvisers in New York’s music scene. Saxophonist Tony Malaby, guitarist Brandon Seabrook, keyboardist Jacob Sacks and drummer Kenny Wollesen all played their part in the sound and success of Overseas V.
It’s album where the soundscapes concise and immediate. There’s also an urgency and energy omnipresent throughout many of the soundscapes on Overseas V. They’re variously ambitious, atmospheric, edgy, challenging, melodic, hook-laden and rhythmic. Rhythm is more important than melody and atmosphere on Overseas V. However, still, some of the soundscapes on Overseas V have a cinematic quality. Always, though, the genre-melting soundscapes on Overseas V are inventive and innovative as they captivate and compes on what’s a career-defining album from Eivind Opsvik. ← LINDA JONES-THE LOST SOUL QUEEN.